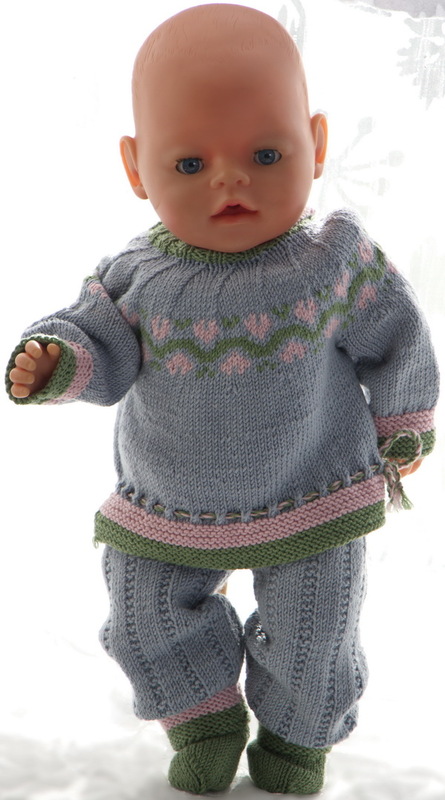 Would you like an outfit like this especially for your doll this time? 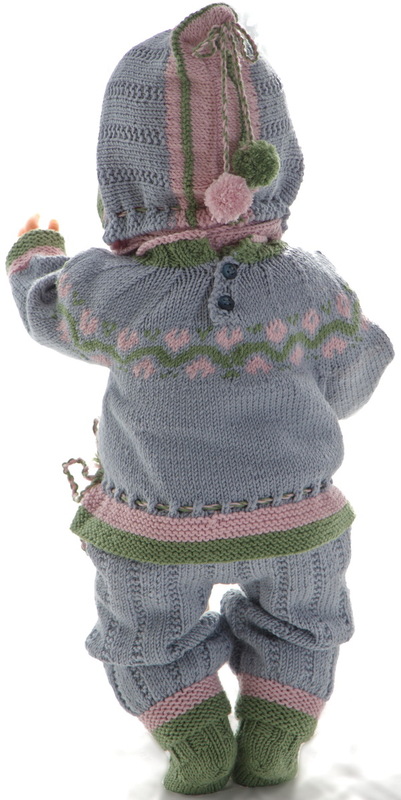 It is knitted in Thin Merino Wool from Sandnesgarn. 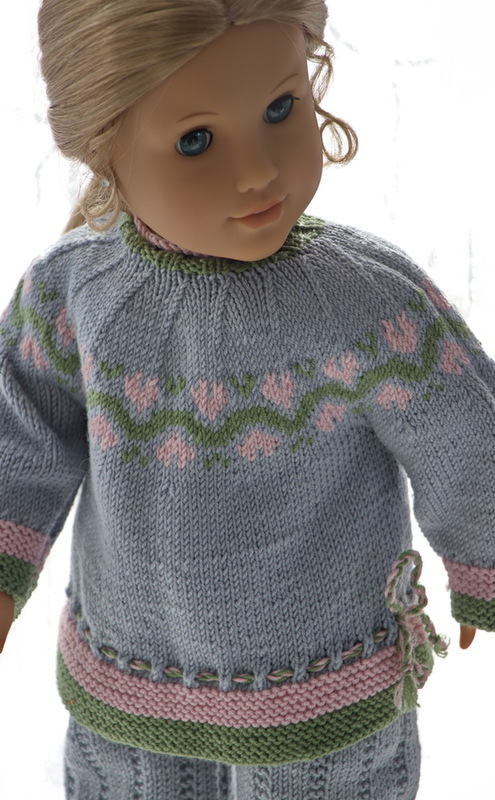 I had some yarn in light grey at home and as the yarn is superb for doll clothes, I thought that together with other colors this could work out to be good everyday clothes for your doll. 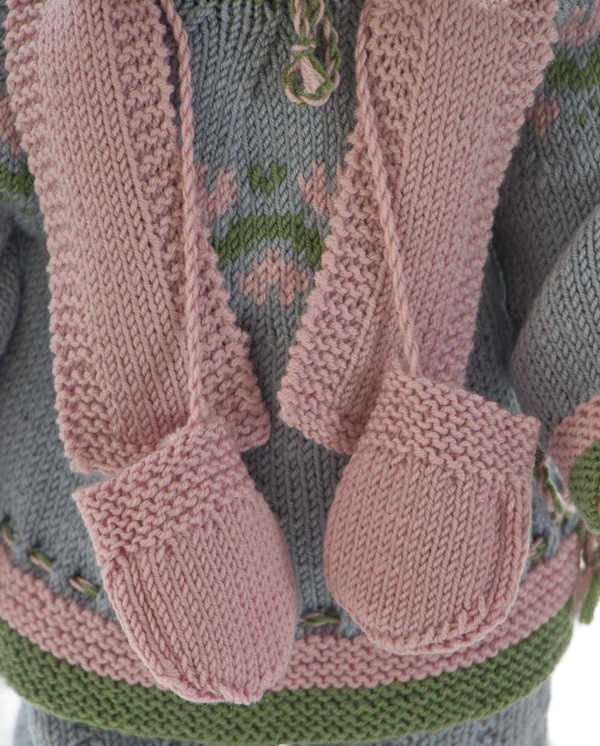 I started knitting the sweater. 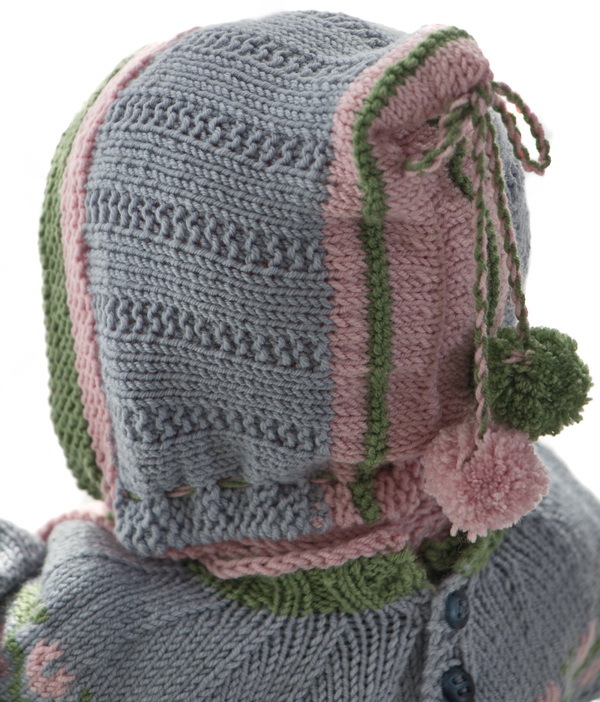 The colors I choose to go together with grey were green and pink. 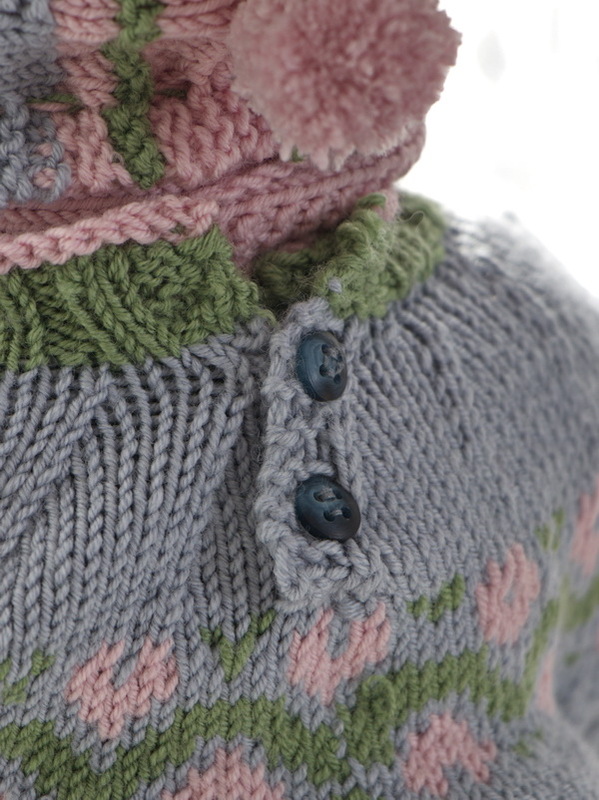 I started knitting the edge in these colors in garter sts. 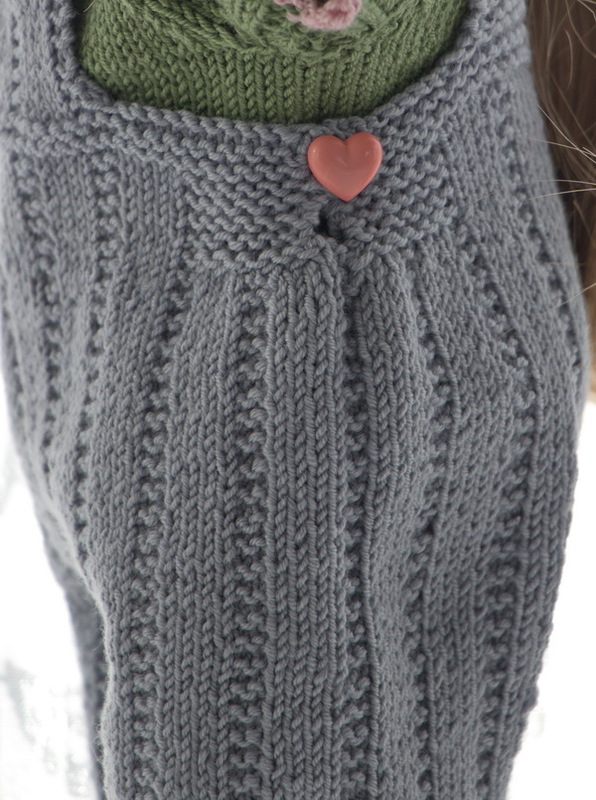 Then I made a row of eyelets for a chord to be hold together in a bow along one side of the sweater. 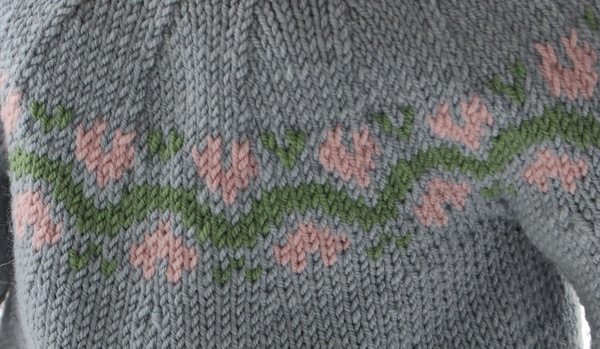 The pattern is knitted in green and has small pink hearts between the green color. The decreasing is in the round. 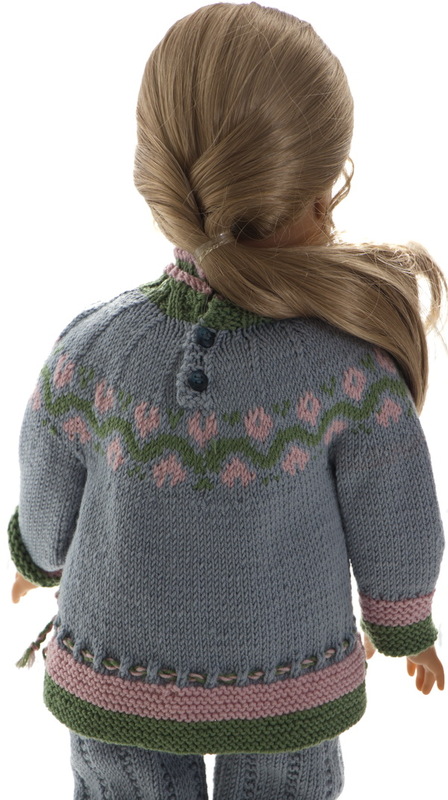 Above the pattern, back the sweater is buttoned with 2 small buttons. ... 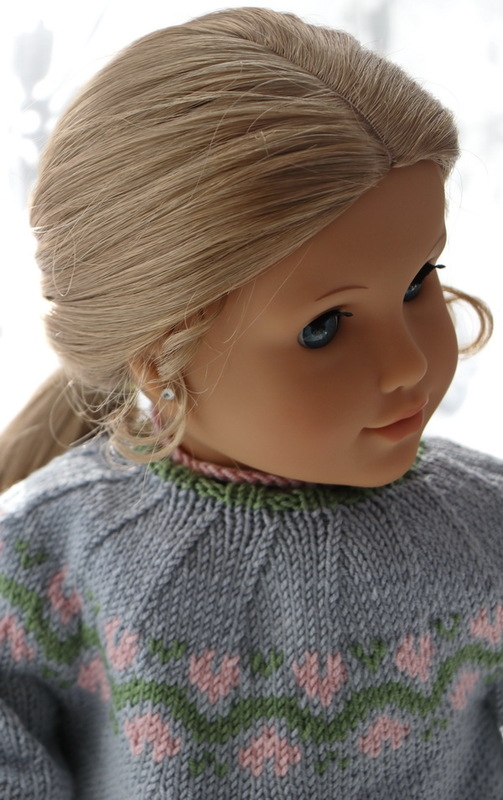 I think the sweater will look lovely. 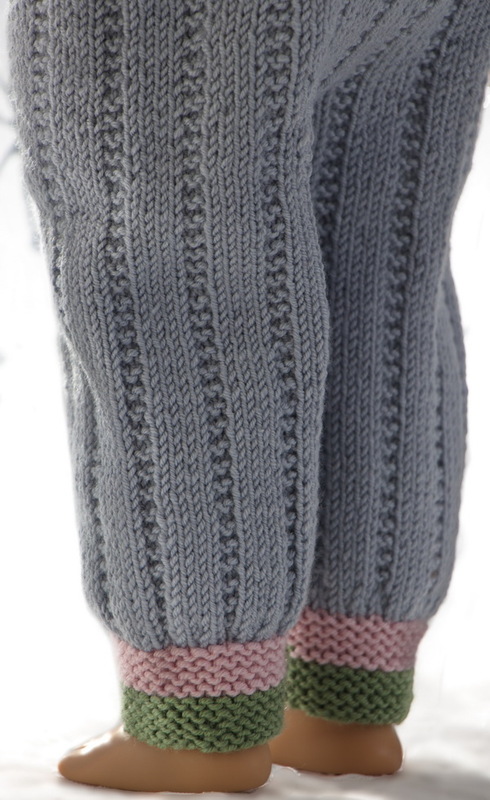 The pants are knitted in st st with small stripes in garter sts in between. 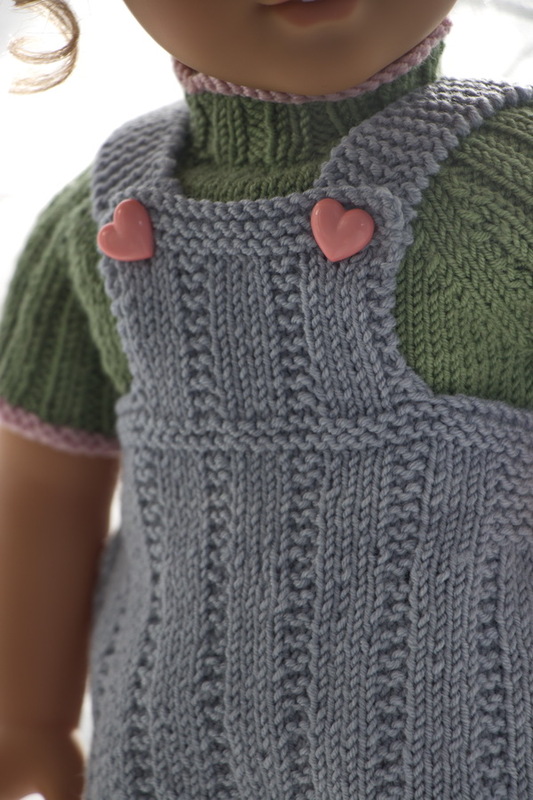 The top is knitted like tops for overalls and buttoned front. A cap in the same colors looked great together with these clothes. 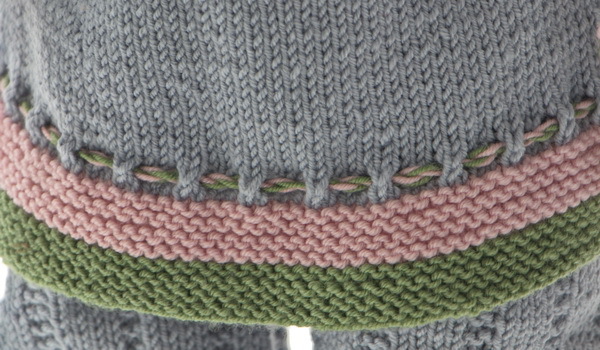 The cap has the same ridges in ga between stocking sts as for the overalls. 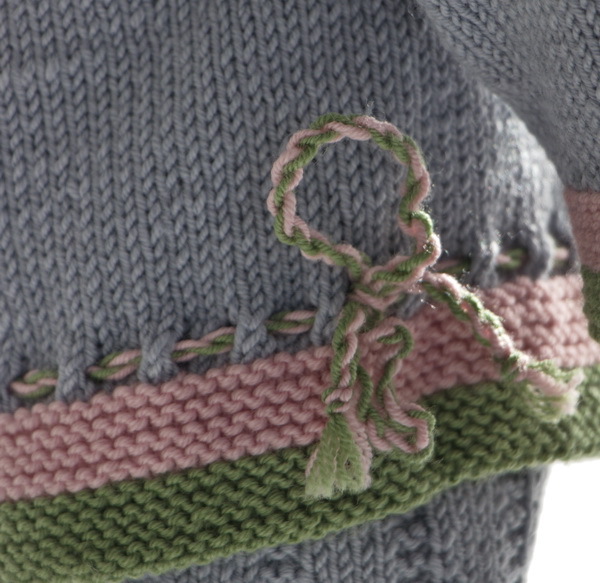 Edges are knitted in green and pink. 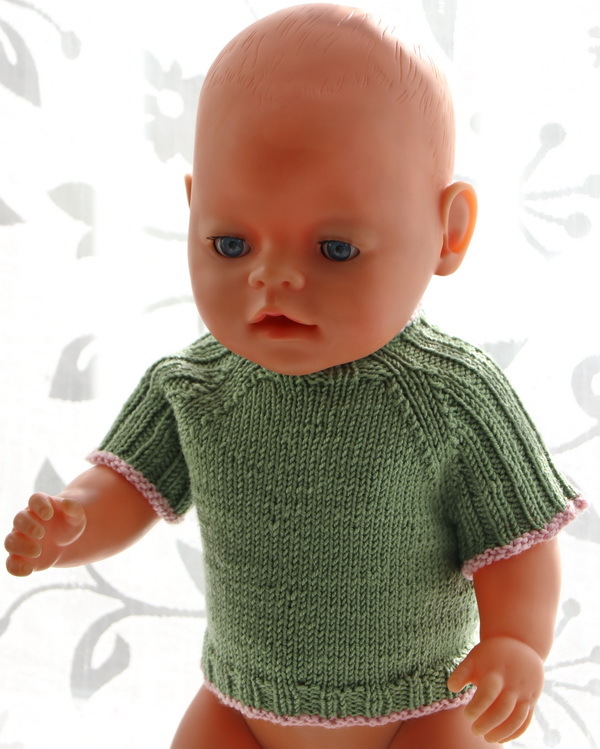 To wear to these overalls I knitted a short-sleeves sweater knitted in green. 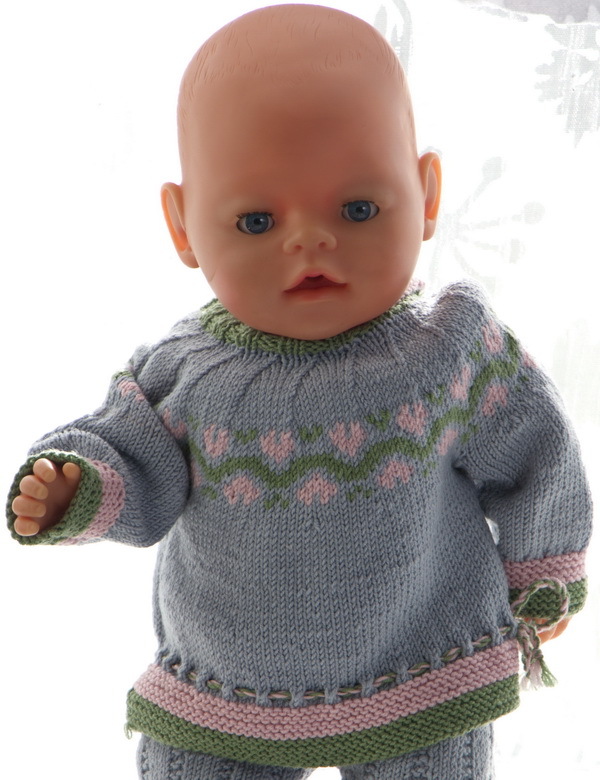 ... to your lovely doll!